Origination Awards is divided into three categories – Most Original Fashion Forward Idea, Most Original Gourmand Idea, and Most Original Mommy Management Idea. Users were aksed to cast their nominees from October 15 to November 18, 2012. Ten finalists were then announced on December 1. Users were then tapped to vote their chosen finalists which will make the 30% of the total vote. The remaining 70% will be based on judges’s scores determined by these criterias: Product Concept and Innovativeness (40%), Perceived Value (15%), and Marketability (15%). 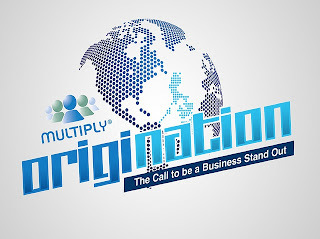 Winners will be announce on January 14, 2013 and will win an online business package worth Php200,000 each. Judges of the Origination Awards include Joey Concepcion of Go Negosyo, RJ David of Sulit, Cofa Gutierrez of BDO, Jack Madrid of Digital Commerce Association of the Philippines (D-Com) and Cecile Van Straten of the lifestyle blog Chuvaness.com. Top local brands who made it to the Origination Awards are School of Satchel, Manila Sole, Anagon Collection, Bare Naturals and, Tuesdays and Fridays for the Fashion-forward products; Chuco Art, World Trade Fair Asia’s Crispy Tahong, and Sweet Blooms for Best gourmet products; and BCV tank top by Mommy Matters, Hoot Hats by Honey Baby, Baby Bappy Balm and the Sniffles Balm from Milea Bath and Body Wellness Essentials, The Momease Diaper Bag Converter from Mommy Matters for the Best ‘mommy management’ products.